The ultra realistic DekoRRa Model 119 Mock Rock works wonders over manholes, small to medium septic tanks, septic clean-outs and more. – The hollow shape is lightweight and easy to use. – Thickly molded fake rock exterior provides excellent durability. – Impact resistant, and string trimmer proof. – Advanced UV fade proof design prevents sun fade. – Colors and textures are molded into the interior walls. – Hide ugly utilities while adding flair and curb appeal. – Sturdy ground stakes are included with each DekoRRa Mock Rock. The DekoRRa Model 119 Mock Rock fills the void between the smaller Model 108 and larger Model 118 fake rocks. 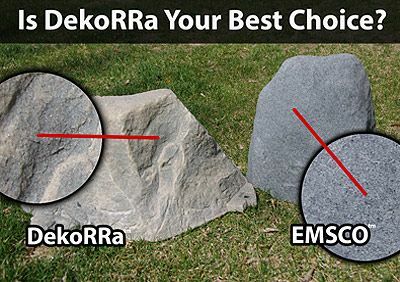 The DekoRRa Model 119 Mock Rock Cover is designed to lay flush to the ground, keeping a low profile. 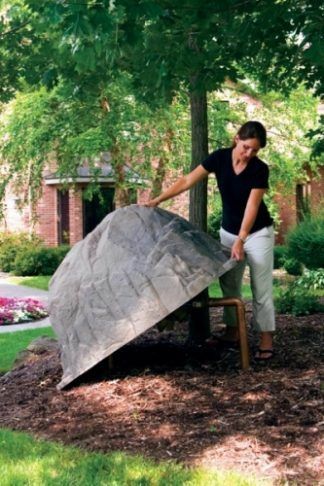 It’s a great fake rock for hiding pond skimmers that are too large for the smaller Model 108 and it’s a great choice for covering small to medium septic tanks, septic clean-outs and other low profile objects. 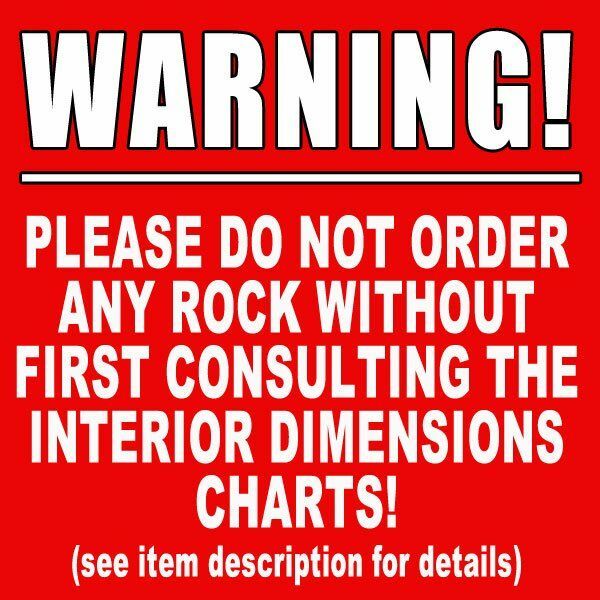 IMPORTANT: Please use the interior dimension charts below for sizing information. The Model 119 features incredibly realistic colors and textures which are molded into the exterior walls of the mock rock, making it totally maintenance free. 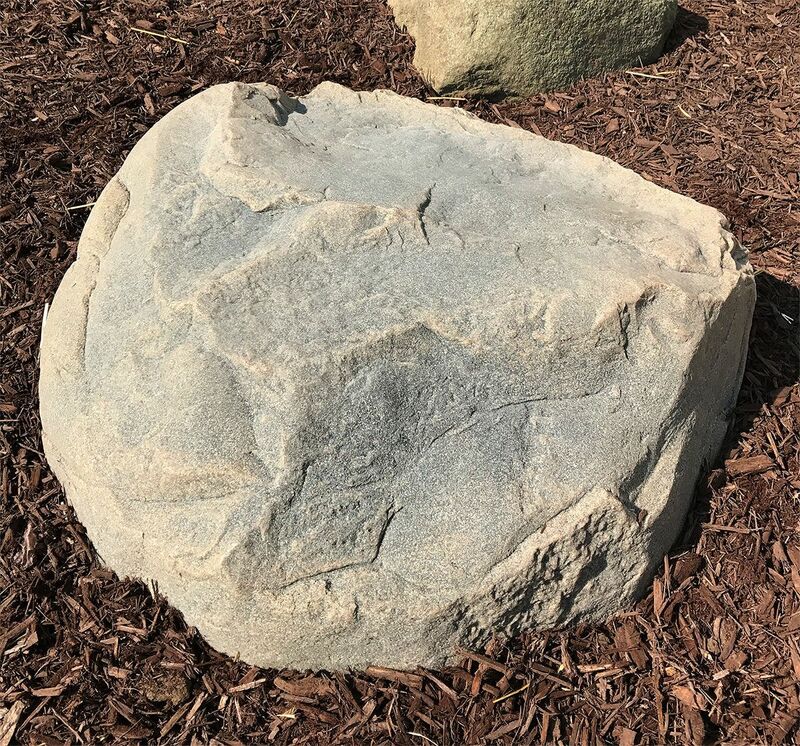 You will never have to paint this rock or worry about it cracking or becoming damaged from string trimmers or any kind of wicked weather that mother nature throws its way. Advanced UV inhibitors are incorporated into the design, creating total protection against sun fade and sun damage. The gritty, natural, and rugged appearance blends in well with any type of landscaping. And with for natural colors to choose from, it’s easy to take the style that will blend in well with the natural surroundings in your yard. 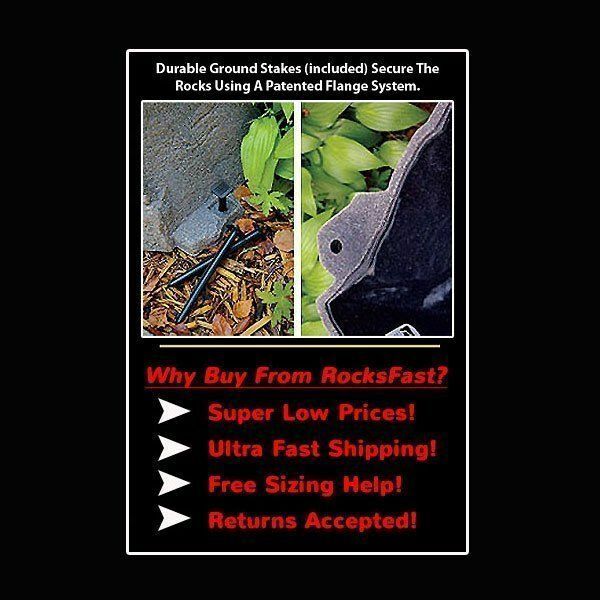 Durable ground stakes are included and are easily placed through flanges molded into the base of the rock. This secures the edges to the ground, keeping the fake rocks in place on windy days. 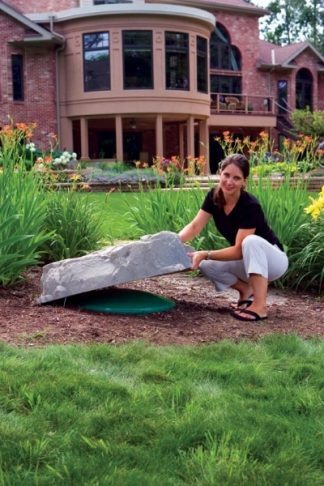 This is the perfect fast and easy to use solution for hiding ugly septic tank risers and blending them into the landscape. – Made in USA of 100% recycled polymers. – Rugged string trimmer proof design will not crack or break. – Set it and forget it, fake rocks are fast and easy to use. – Total UV protection can withstand any type of weather. – Maintenance free design never requires any TLC. – Hides ugly septic’s while enhancing curb appeal and adding character to landscaping. 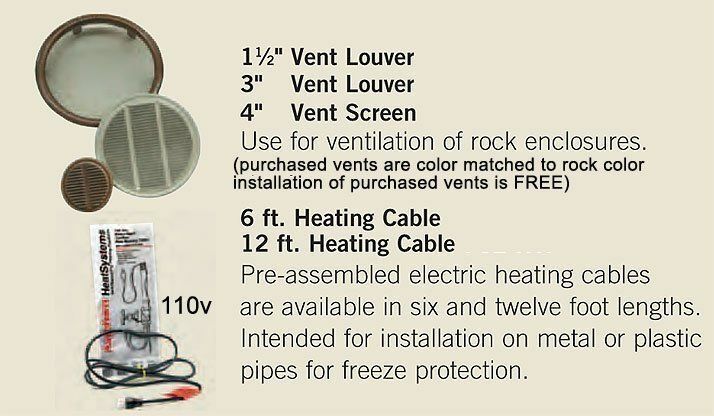 – Includes ground stakes and may be ordered with optional vents. Note: when covering any kind of septic component is important to consider proper venting. If the current cover on the septic riser is vented, then it’s a good idea to vents the artificial septic rocks to allow for airflow. Vents can be purchased using the drop-down menu next to the add to cart button. They are installed prior to shipment and will be painted to match the color of the fake rocks.